Well we've come to the end of March. I was too busy the past few weeks to keep the high pace of map posts up, but I think we had a few gems. Next year we'll do even better! For the final post this month, I'm tipping my hat to Google who have created the best map of the month. 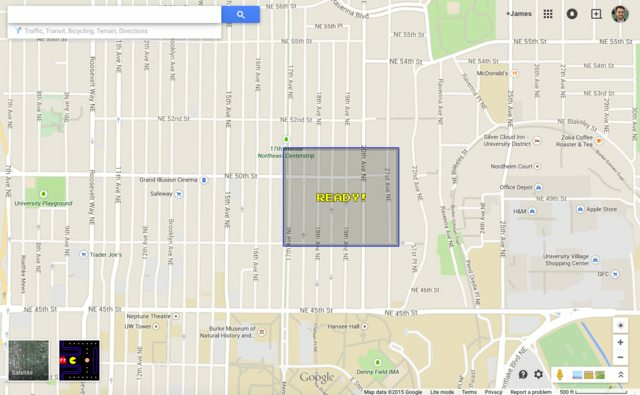 Starting today, you can play PAC-MANin your browser using Google Maps! 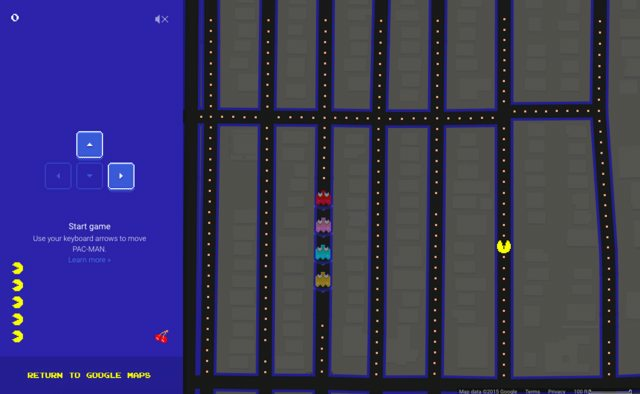 This feels a lot like the in-browser version of PAC-MAN that Google featured as a "Doodle" on May 21, 2010 in celebration of PAC-MAN's 30th anniversary.